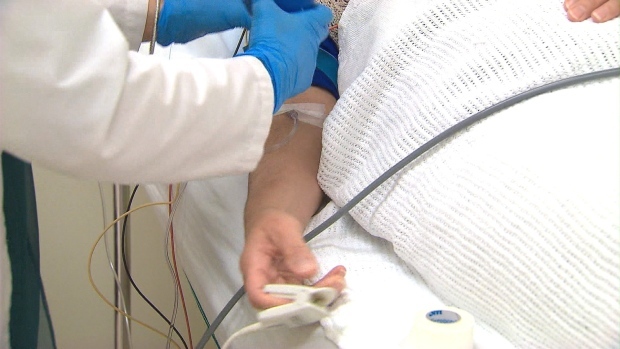 The latest report says that a total of 3,714 Canadians have ended their lives with the help of doctor or nurse practitioner since medically assisted dying became legal. OTTAWA -- Almost 4,000 people have chosen medical assistance to end their lives since the practice became legal in Canada two years ago. That includes 1,525 in the last six months of 2017 -- a 29 per cent increase over the first half of the year. The statistics are contained in a third interim report from Health Canada, which is planning to implement a permanent, national reporting and monitoring system for assisted deaths in the fall. In the meantime, the department has been compiling statistics at six-month intervals, based on incomplete data provided by the provinces and territories. The latest report says that a total of 3,714 Canadians have ended their lives with the help of doctor or nurse practitioner since medically assisted dying became legal -- in Quebec in December 2015 and nationwide in July 2016. The report looks in-depth at the latter half of 2017, during which assisted deaths accounted for just over one per cent of total deaths in Canada. Of the 1,525 assisted deaths in that period, the report says 40.5 per cent occurred in a hospital setting, while 43.3 per cent occurred in the patient's home. There were no cases of self-administered assisted deaths during the period. Most of the individuals who chose assisted deaths were between the ages of 56 and 90, with an average age of 73. They were evenly divided between men (49 per cent) and women (51 per cent). As in previous interim reports, cancer (65 per cent) was the most frequently cited medical condition associated with assisted deaths, followed by circulatory and respiratory illnesses (16 per cent) and neuro-degenerative disorders (10 per cent). Only Alberta, Manitoba, Saskatchewan, Quebec and some Atlantic provinces collect information regarding the number of requests for medical assistance in dying and how many are declined, withdrawn or not completed. Based on that limited data, the report says eight per cent of requests for an assisted death were refused. The most commonly cited reasons were the patient's loss of competency and that the patient's natural death was not reasonably foreseeable, as required by the federal law. About five per cent of requests were withdrawn by the patient. Another 14 per cent of requesters died before the process of assessing their eligibility could be completed.